A violation report was returned by the sending state. I need to delete or withdraw the OVR, but the buttons are no longer available. How do I get rid of it? Once a violation report is transmitted to the sending state, ICOTS makes it permanent in that it can't be withdrawn or deleted. If the situation has changed, then the violation report itself can be updated and some other documentation submitted on a CAR or case note. But the violation report must still be sent to the sending state for a response if it's been returned. This is no longer the case with violation report activities. 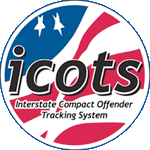 As of ICOTS Release 18.0 on May 22, 2013, Violation Reports can be withdrawn by the receiving state up until the sending state transmits the Response to Violation Report.